If you’ve ever used a device that picks up signals over the air, you know that sometimes you just can’t get the signal to come in clearly. You point the device every which way, move it all around the room, do a little dance, but nothing seems to work. There doesn’t seem to be any explanation. Maybe it’s sunspots, who knows? While that’s an annoyance for us, sometimes people’s lives depend on that signal getting through. People like firefighters. One of my group’s more recent projects has been to help make sure that their signals get through, wherever they are. Like many people, I’m in awe of what firefighters do. With seemingly little regard for their own safety, they routinely risk their lives to save people they don’t know. Because it’s their job to run into burning buildings instead of away from them, firefighters are “always prepared.” They have to be well-trained, fully alert and ready to go when the call comes. When firefighters have a medical or other emergency and are themselves in need of rescuing, fire departments use a number of different protocols and technologies to help get them out, quickly and alive. One of the technologies that fire departments use to raise an alert should a firefighter go down is the Personal Alert Safety System (PASS). In traditional PASS, when a firefighter is motionless for 30 seconds, the beacon they wear sounds an alarm to alert other firefighters nearby. Recently, some manufacturers have also started including wireless transceivers in their PASS units. Using a similar type of “point-to-point” radio technology as your WiFi, radio frequency-based (RF) PASS can extend the reach of the beacon from the firefighter’s immediate surroundings to the fire truck or incident command station. These systems also allow the incident commander to send out a blanket “evacuate” command to the firefighters inside a structure, which is intended to help to avert a scenario like that on 9/11 where many firefighters did not receive the notice to evacuate in time. However, until recently, there were no standardized test procedures to verify the performance of RF-based PASS. Because firefighters’ lives may depend on these systems, the firefighting community wants to have as much assurance as possible that they will work. Field testing is expensive, so standards-setting organizations commonly develop laboratory-based test methods that mimic real-world conditions in a controlled setting. 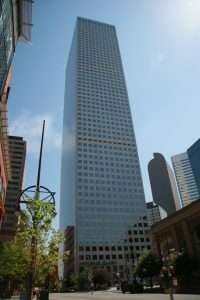 This means recreating environments where reception may be problematic, such as high-rise buildings, convention centers, subways, and environments such as oil refineries where these signals get reflected amidst all those pipes, tanks and other large metal structures. 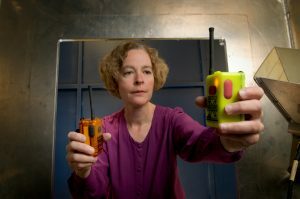 For many years now, the Department of Homeland Security’s Office of Standards has funded a collaborative effort between my group and the National Fire Protection Association (NFPA), which sets industry consensus standards for fire departments, to develop test methods that can verify the performance of RF-based PASS. This program has broken ground in several areas. First, because there were little data available about how radio waves travel in the environments where firefighters work, we performed several field tests and collected measurements that focused on how well the signals were able to move in and out of medium- and large-sized structures. In many locations, we conducted side-by-side tests of the RF channel characteristics and RF-based PASS in order to verify that our laboratory-based tests captured real-world failure conditions correctly. Our second step was to analyze the data in order to see how various obstacles altered the signal so that we could more accurately model the conditions that firefighters might expect to encounter in the field. We also analyzed different system setups, such as systems that use only a single RF-based PASS beacon and a single base station, systems that use repeaters to increase the range, etc. Having all of that data in hand, we began to develop laboratory-based test methods, with the goal of producing a compact and repeatable test environment. The methods that we developed allowed the RF-based PASS system to operate in its “native” state, with the portable unit transmitting to the base station in the same over-the-air configuration that would be used in the field. That is, in these tests we don’t remove the antennas and connect the transmitter and receiver together through a cable, which has been the norm for these types of tests in the past. Because the tests were designed to allow testing of any shape or size of RF-based PASS, this same test configuration could be used to verify other wireless equipment in the future. In our new over-the-air tests, we effectively bring the harsh wireless environment we measured in the field into the laboratory so that system performance can be tested in a controlled and repeatable manner. We place the emergency beacon in one test chamber and the base station in the other, with additional chambers housing repeaters, if they are used, and simulate different types of signal degradation. For example, we can insert an attenuator to replicate the path loss that we measured. We then test to see whether the RF-based PASS system performance is the same as was measured in the field. The final step of this project has been to work with the NFPA to write text for their standard. This involved refining our ability to translate the lab-based test into descriptive language that could be replicated in test labs that certify the RF-based PASS devices. The first two test methods were incorporated in the standard NFPA 1982: Personal Alert Safety Systems, rev. 2013. Two more will likely be incorporated into the 2018 revision. This work has been interesting on many levels, from developing experiments to collect meaningful field-test data, to the test methods themselves, to working directly with the firefighters. We don’t typically conduct this kind of research in my lab, but it has been rewarding and, hopefully, may help to save firefighter lives in the future. I like most people wouldve thought this was already the norm, considering that peoples lives depend on it?